The new, creamy alternative to Oxidant 3% liquid! 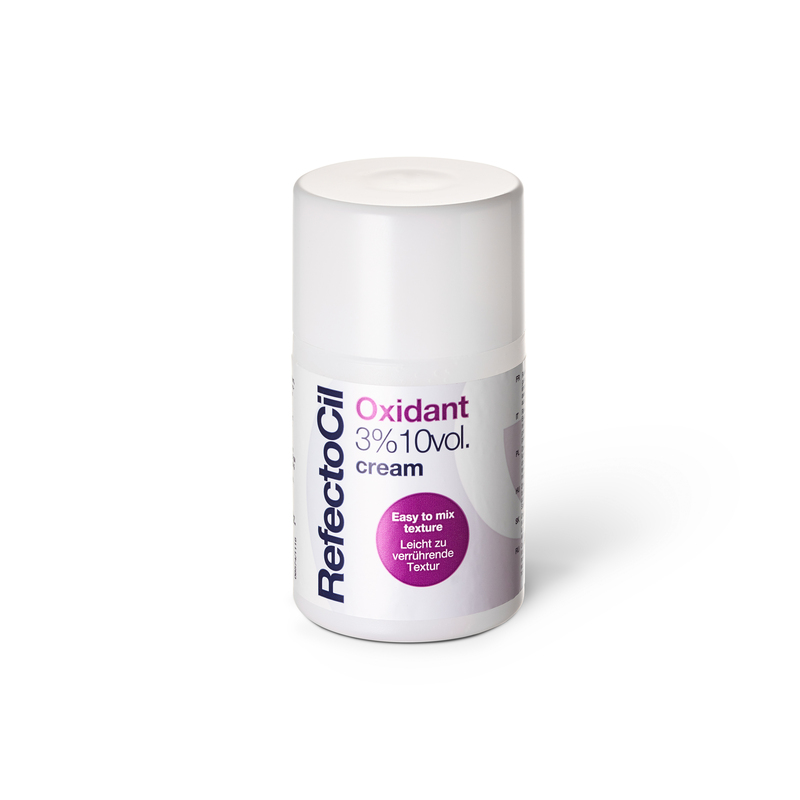 Beside the millionfold proven developer RefectoCil Oxdiant 3% liquid there is now RefectoCil Oxidant 3% Creme, a stabilized developer on cream basis for RefectoCil eyebrow and eyelash tints. Due to the creamy consistency, RefectoCil Oxidant 3% Cream can be mixed pleasantly with RefectoCil Colour to a homogeneous paste, which you can easily apply to the eyelashes and eyebrows. The practical bottle cap has a narrow dosage opening with which you can dose the drops sparingly and precisely and remove them by applying light pressure to the bottle body. In addition, the cap ensures that no impurities can get into the bottle. Application Mix 15: Mix 15-20 drops of RefectoCil Oxidant 3% cream with 2 cm of colour and mix the mixture with the help of the colouring stick to a creamy paste. Use the paste immediately and follow the instructions for use for RefectoCil eyebrow and eyelash tint. Important: Only the use of RefectoCil 3% Oxidant in combination with RefectoCil colours guarantees the usual perfect colour result. Therefore always use RefectoCil eyebrow and eyelash tints with RefectoCil Oxidant liquid or cream. Contents: 100 ml. Sufficient for approx. 150 applications.